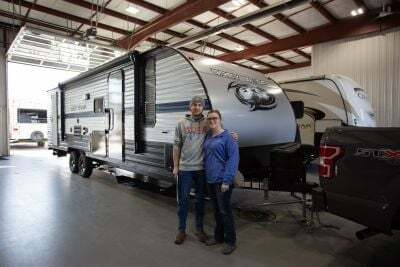 Travel in supreme comfort with this New 2019 Forest River Cherokee 264DBH! This Travel Trailer is fantastic for camping families! Lakeshore RV Center offers the nation's lowest prices on top brand RVs! Stop on by 4500 E Apple Ave Muskegon Michigan 49442 and find out why we're the #1 Michigan RV dealer! Call us at 231-788-2040 so we can answer any questions you may have about your dream RV today! Bring out the camping chairs and lounge under the shade of the 15' 0" awning! Trips with this RV are easy with a hitch weight of 885 lbs, dry weight of 6455 lbs, and a GVWR of 7885 lbs. 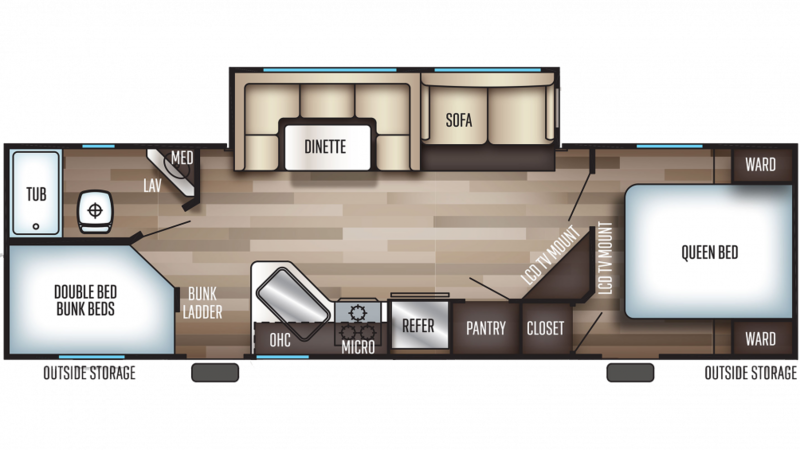 There's ample room to stretch inside this 32' 0" long, 8' 0" wide RV! With 1 slides, the interior is even more spacious! The RV is 11' 1" high, so you won't have to worry about bumping your head! With the 13500 BTU a/c and the 30000 BTU furnace, you can maintain a stable temperature inside no matter what the weather looks like! You won't miss out on a great night's sleep ever! This RV sleeps up to 10 people! For a royal night's sleep, the Queen bed in the master bedroom offers warmth and comfort after dark! With the bathroom, you'll save your family that onerous trek through the campground to the often cold, damp, and messy community bathroom facility! It includes a modern shower, a handsome sink vanity, and a handy Foot Flush toilet! There are 40 lbs. of LP tank capacity, so you can enjoy hot showers any time of the day! You don't have to see or smell your used water and waste, thanks to the 38 gallon gray water tank and the 38 gallon black water tank. The kids will love having their own space in the cozy bunkhouse with its comfy Bunkbeds!